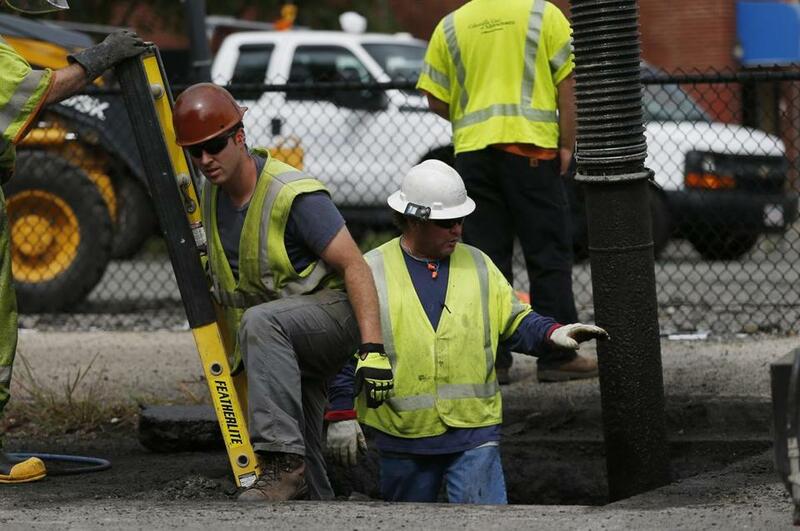 Columbia Gas workers worked on pipes off of Parker Street in South Lawrence on Sept. 20. An underground labyrinth of leak-prone, corroding natural gas pipes. Mounting pressure on utilities to upgrade ancient infrastructure. A chronic shortage of trained workers. And a surge of retirements among state inspectors. This is the backdrop for the natural gas fires and explosions that rocked the Merrimack Valley Sept. 13. The gas lines that wend throughout the state, beneath city streets, and into people’s homes are overseen by a patchwork of bureaucracies and a regulatory system that largely trusts utility companies to police themselves. Though such calamities are rare, safety experts and local leaders say the gas industry needs more rigorous, transparent oversight to avoid more disasters. “Is the inspection and regulatory system adequate? We would say, ‘No, there are not enough inspectors looking at things often enough,’ but it goes deeper than that,” said Carl Weimer, executive director of the Pipeline Safety Trust, a Washington nonprofit that researches and advocates for pipeline safety. Just weeks before the Merrimack Valley explosions, federal pipeline regulators audited the state’s utility commission and raised concerns about attrition among the agency’s inspectors. At the time, the state had just two engineers doing field inspections of pipeline work. While the Massachusetts Department of Public Utilities received high marks, the Pipeline and Hazardous Materials Safety Administration auditor noted that with so few inspectors in the field, the state was likely to fall behind in inspections of gas work. 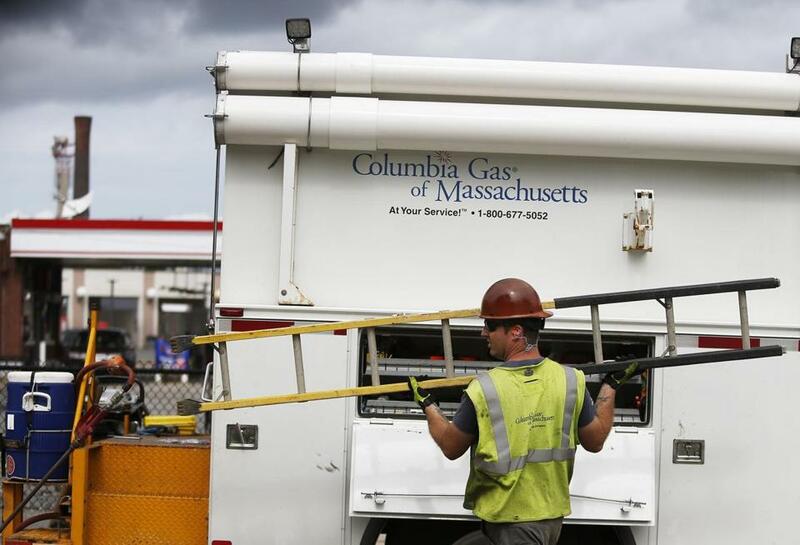 One person died, dozens were injured, and about 8,600 customers were left without service in the explosions that occurred while crews for Columbia Gas were working on replacing older, leak-prone pipes in Andover, North Andover, and Lawrence. Investigators say it will take months to know precisely what went wrong, but the National Transportation Safety Board said preliminary evidence indicates pressure levels were well above normal at the time of the blasts. With regulators now scrutinizing Columbia Gas operations, safety experts say federal rules too often give utility companies a wide berth, leaving consumers vulnerable. Weimer, of the Pipeline Safety Trust, said gas companies have too much “wiggle room” to develop plans for mitigating risks in their own systems. The Department of Public Utilities noted that federal laws place responsibility for regular pipeline inspections with the utility companies themselves. Meanwhile, a slew of departures from the department raises questions about its oversight capabilities. State Representative Lori Ehrlich, a Marblehead Democrat who has sponsored legislation that requires gas companies to classify and address leaks, expressed skepticism about the DPU’s oversight. She said she tried, without luck, to reach someone at DPU last week to talk about pipeline safety. 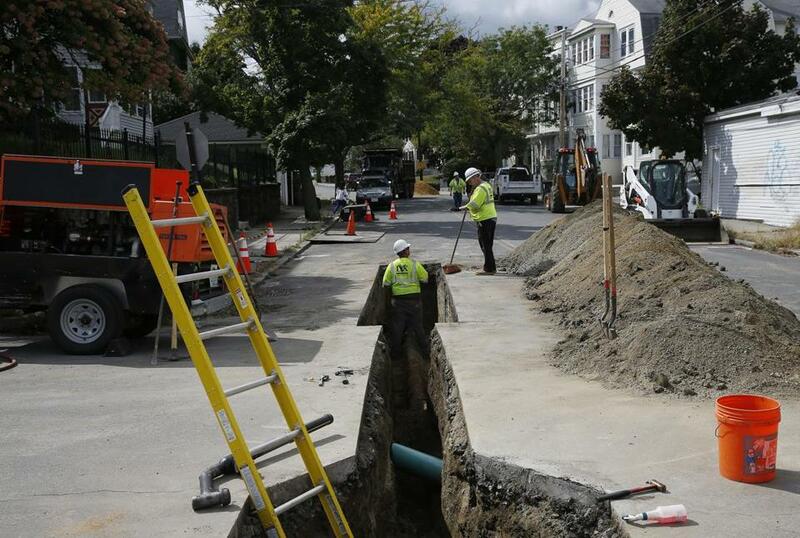 Gas workers tended to pipes off of Brookfield Street in South Lawrence earlier this month. Data from the state comptroller show eight DPU inspectors have retired in the past three years — including four since March. That left the agency with just two doing field work at the time of the federal inspection in August, according to the Pipeline and Hazardous Materials Safety Administration audit. The DPU conducted 1,170 “on-site inspections” in 2017, up from 716 in 2013, according to records provided by the department. State officials said six engineers were certified to conduct pipeline inspections at the time of the most recent federal audit, but one was out on medical leave, another was working on desk-bound duties due to medical issues, and two were working as supervisors. DPU spokesman Peter Lorenz said six of the state’s eight public utility engineers are certified to conduct pipeline inspections in the field, although one still serves as a supervisor, and two more engineers will become certified in the near future. DPU is also in the process of hiring a ninth public utility engineer. The level of staffing has been a sore spot for the two unions that represent some 1,250 gas workers who have been locked out of National Grid work sites amid a contractual dispute. John Buonopone, president of the United Steelworkers Local 12012, said he testified at the State House five years ago about the need for more field inspectors at DPU, and has raised it with the agency since the lockout began. Susan Tierney, a former state DPU commissioner who now works as a consultant in the energy field, said it wouldn’t surprise her if the agency cut back on pipeline inspection staffing in recent years because there hasn’t been a major incident to raise concerns. That’s a typical approach, she said, for a utility regulator. Following the Merrimack Valley explosions, the DPU called in reinforcements: three inspectors from New Hampshire and two from Pennsylvania. The budget for the DPU’s pipeline safety division has grown in recent years — it’s now at $2.8 million — although the majority of its funding comes from the federal government. Nationwide, there are roughly 2.2 million miles of gas distribution lines similar to the ones in the Merrimack Valley. Most state oversight agencies do not have the staffing for regular site visits, which is why federal rules place responsibility with gas companies for routine inspections, according to the American Gas Association, an industry trade group. “A state inspector may come out and look at the operations manual. But they do not go out and inspect the line itself. That’s the responsibility of the operator,” said Lori Traweek, the association’s chief operating officer. “The operators have as much interest as anyone to make sure their pipelines are safe and they meet the specifications as required, and they are complying with regulations,” Traweek said. While dramatic explosions such as the recent inferno in the Merrimack Valley often make headlines, Traweek noted that most incidents involving gas lines are not the fault of gas companies but rather occur because of damage caused during construction projects, such as a backhoe hitting a gas line. Perhaps the most infamous recent natural gas pipeline disaster was the explosion that killed eight people and leveled part of a neighborhood in 2010, in San Bruno, Calif.
Columbia Gas workers worked on pipes off of Parker Street in South Lawrence. Nick Stavropoulos, a longtime Massachusetts utility executive, was recruited by the California utility PG&E to help with the company’s multi-billion-dollar recovery efforts. Stavropoulos, now utility president at PG&E, said his team accelerated the company’s pipeline replacement program, removing all of the cast iron pipes that were at risk of being compromised and replacing them with plastic. And the company invested tens of millions of dollars in training. California’s public utilities department also stepped up its efforts, adding more inspectors and conducting more frequent audits. Stavropoulos said PG&E valued the extra scrutiny. “By increasing the intensity of their audits and inspections, we think they’ve been a really important party to reduce risk on our system and improve the safety of our operations,” Stavropoulos said. Federal data from the Pipeline and Hazardous Materials Safety Administration show that over the past decade 29 percent of significant incidents nationwide are from excavations, while only 9 percent are linked to operator error. But in Massachusetts, a significantly higher percentage of incidents are traced to operator error: 19 percent. It said the federal government’s Office of Pipeline Safety operates a single gas and hazardous material training facility for the entire nation, and the federal certification process for state inspectors can extend up to five years. It found a one-to-two-year backlog for admission to the federal government’s state inspector training program. The report also noted that pipeline upgrades require skilled laborers with the required certification. This panoply of looming problems, coupled with the spectacular eruptions in the Merrimack Valley, worries Boston City Councilor Matt O’Malley, who has called for a public hearing to examine the safety of natural gas pipelines in the city. 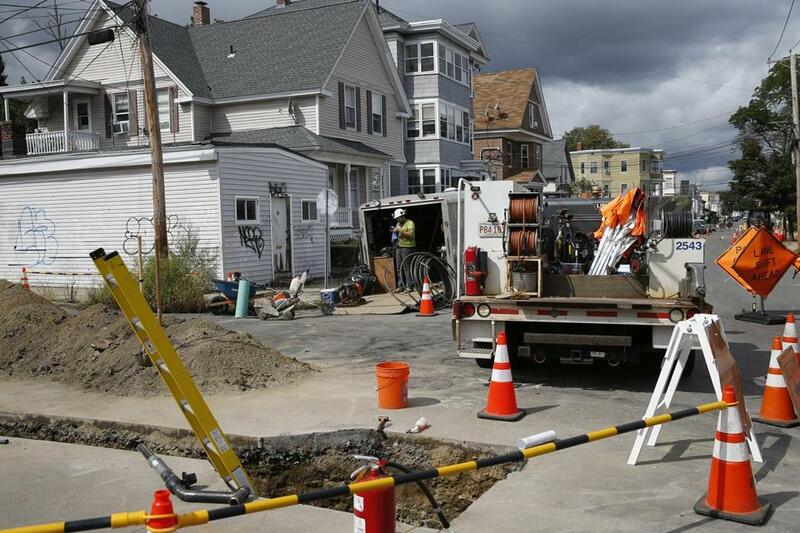 A gas worker took a break on Brookfield Street in South Lawrence. Matt Rocheleau of the Globe staff contributed to this report. Kay Lazar can be reached at kay.lazar@globe.com Follow her on Twitter @GlobeKayLazar. Jon Chesto can be reached at jon.chesto@globe.com. Follow him on Twitter @jonchesto.